Back: Coach Greg Bower, Stacy Elliott, Kristin Crocker, Dianna Keddy, Katelyn Woodworth, Kailey Brown, Katrina MacFarlane, Erin Sheehy, Beckie Boutilier, Coach Kevin Turner Front: Caitlin Coleman, Jessica Pelton, Jessica Steeves, Katherine Terauds, Tracy Campbell, Katie Spurr. The fourteen member Middleton Regional High School Wolverines Basketball Team, after hosting NSSAF Division II Provincials the year before were not to be denied in 2003-04. This team had a dominant year winning 26 games while losing only 4. 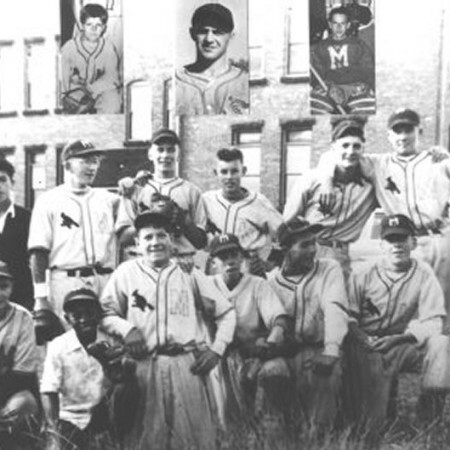 They won all five league games, outscoring their opponents 341 to 158. 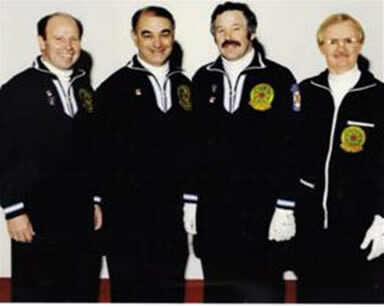 In exhibition play they won seven while losing only two, often playing tough opponents such as Glace Bay and Avon View. In tournaments they won 14 while losing only 2, both losses at the hands of Division I Yarmouth. One loss to Yarmouth was at the Yarmouth Tournament where MRHS took the Bronze. The Wolverines won Gold at their Heart of the Valley Tournament with straight victories including beating Yarmouth 73-61. In an outstanding performance at the Mount St.Vincent Tournament in January they swept all of their games for Gold dropping three Division I teams. Middleton qualified for the final clipping Yarmouth 60-52 in overtime after Stacy Elliott drained two 3-pointers with seconds left in regulation for the tie. At the KingsEdgehill Tournament Middleton lost to Yarmouth and defeated Central Kings and West Kings. In Regionals at Forest Heights the Wolverines overpowered NKEC 54-31 and West Kings 55-33 for the right to host Provincials. At Provincials in a packed MRHS gym they defeated East Hants 77-31 and Breton Education Centre from Cape Breton 61-44 to face the reigning Champions from Amherst in the Final. Having already scored 31 points in a 67-all ball game Elliott nailed a 3-pointer from near half-court with two seconds left on the clock for MRHS’s first Championship since 1980-81 in Girls Basketball. The Sports Heritage Wall of Fame is honoured to induct the MRHS Wolverines Senior Girls Basketball Team, the NSSAF Division II Champions of 2003-04 in the Team category.